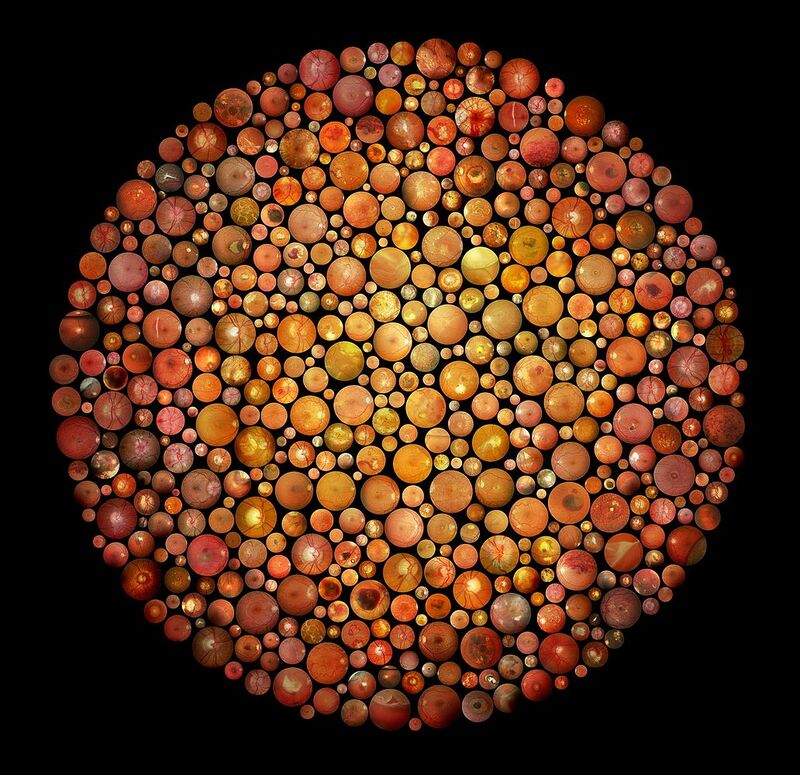 This image was created by using nearly 600 different retinas using the Ishihara colours vision chart pattern. 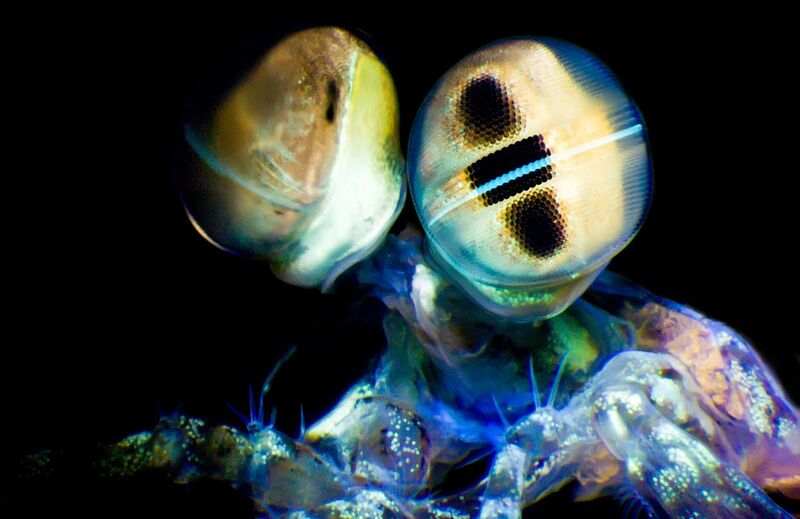 Blue-green autofluorescence in the eye of the Mantis Shrimp, Odontodactylus latirostris. This horizontal streak of fluorescent facets is indicative of the presence of a sunscreen pigment that mantis shrimp have uniquely coopted to spectrally tune their ultraviolet-sensitive photoreceptors. 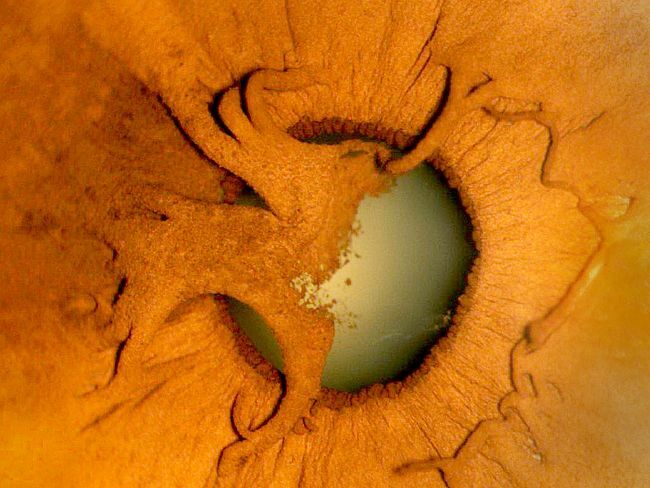 Persistent Pupillary Membrane of a lady taken on a slit lamp camera. 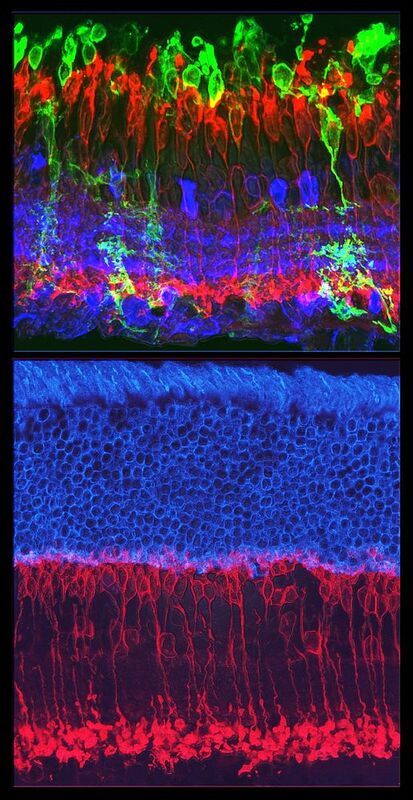 ELECTROPORATION OF CATCH IN RD 10 MOUSE VS WT RETINA - The image illustrates the retinal layers in rd10 electroporated mouse compared with the wild type mouse retina (bottom). Rd10 has a moderate rate of photoreceptor degeneration and serves as a valuable model for human retinitis pigmentosa. 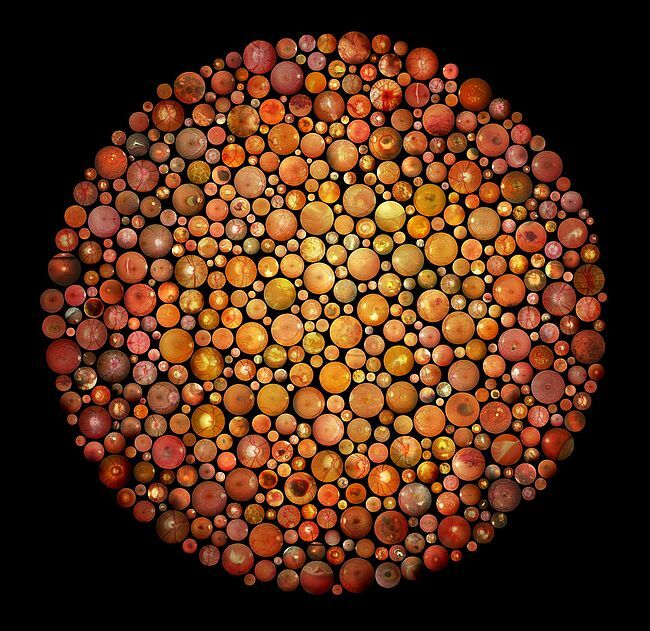 The photoreceptorors are lost in comparison with the wild type retina. 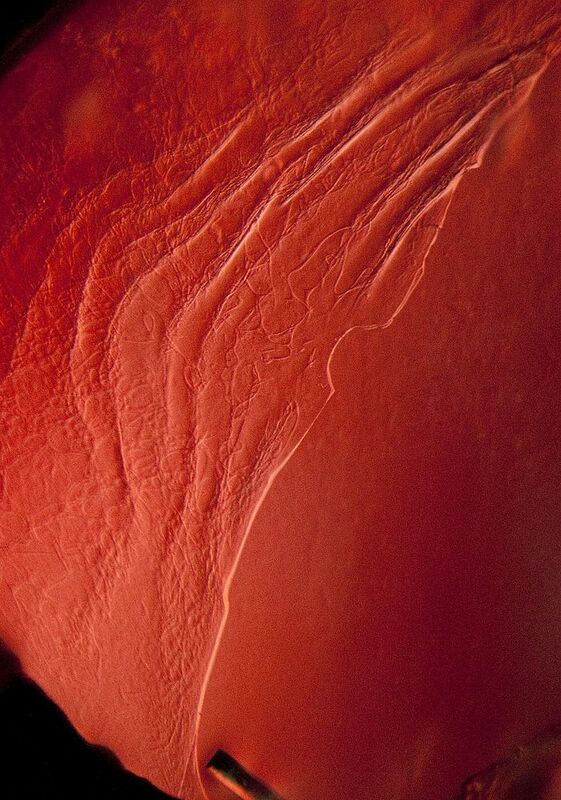 Electroporation is a technique for the introduction of nucleic acids into cells. The photoreceptors of degenerated retina has been transfected by electroporation and they express Catch (calcium translocating channelrhodopsin) (green), which mediates an accelerated response time and a voltage response. Fluorescents markers have been used to identify rod bipolar cells (red) and amacrine cells (blue). 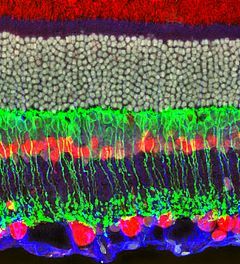 At the bottom of the figure, a wild type retina has labeled their photorreceptors (blue) and rod bipolar cells (red). Wrinkles in the anterior lens capsule in a pseudophakic eye with "in the bag" implant. 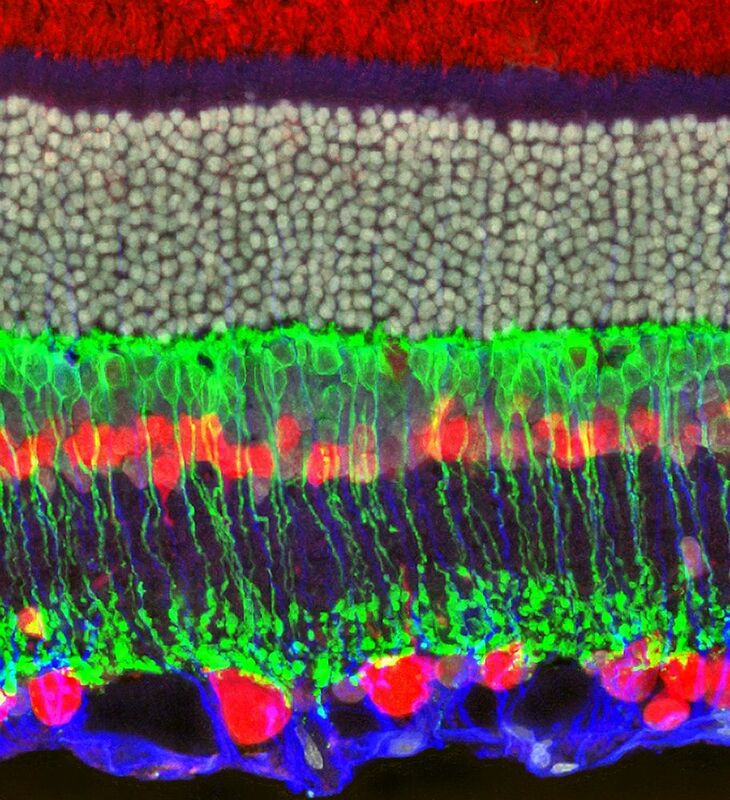 RAT RETINAL CELLS - this is a confocal image of rat retina. 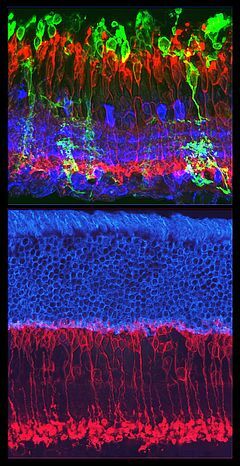 A vertical section of the rat retina has been stained with different antibodies against wich recognize different cell types in the rat retina. The nuclei are in grey, rod bipolar cells in green, amacrine and ganglion cells in red, and MÃ¼ller cells in blue. The purpose of the retina is to receive light, convert the light into neural signals in photoreceptor cells, and the ganglion cells send these signals on to the brain for visual recognition. 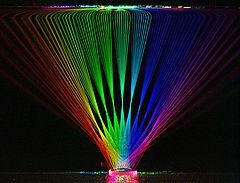 A standard double-convex 100D lens in a water/color-pigment solution, which reduces the refractive power to about 40D - illuminated with several laser rays. 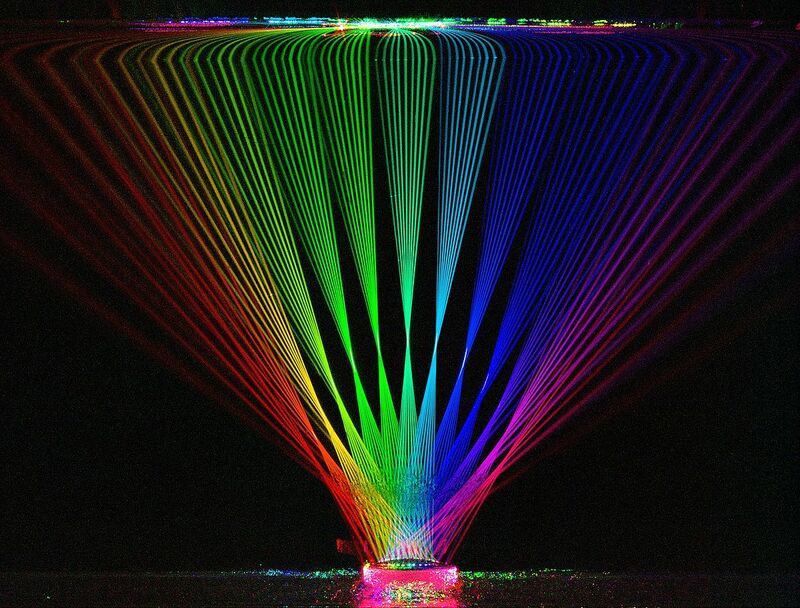 Different angles of incidence are color coded representing the colors of a rainbow. 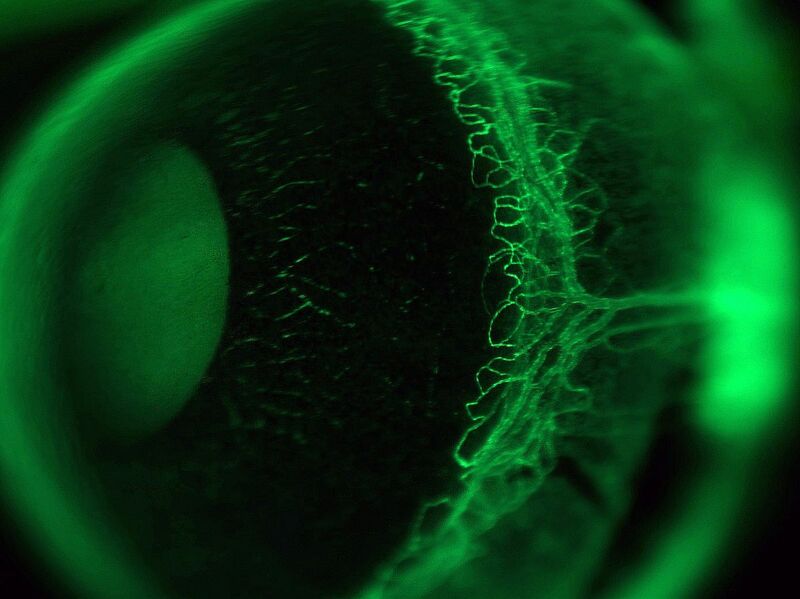 Mouse eye with GFP-labelled vessels at x25 magnification. 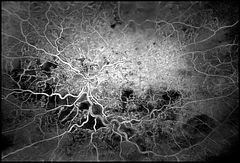 Fluorescein angiography image used to document vascular changes in the eye caused by a blockage in a vein, which compromises the blood and oxygen supply to the retina. 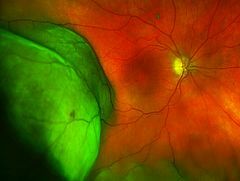 Ischaemic changes indicate that parts of the retinal circulation have begun to shut-down because of an insufficient supply of oxygen. 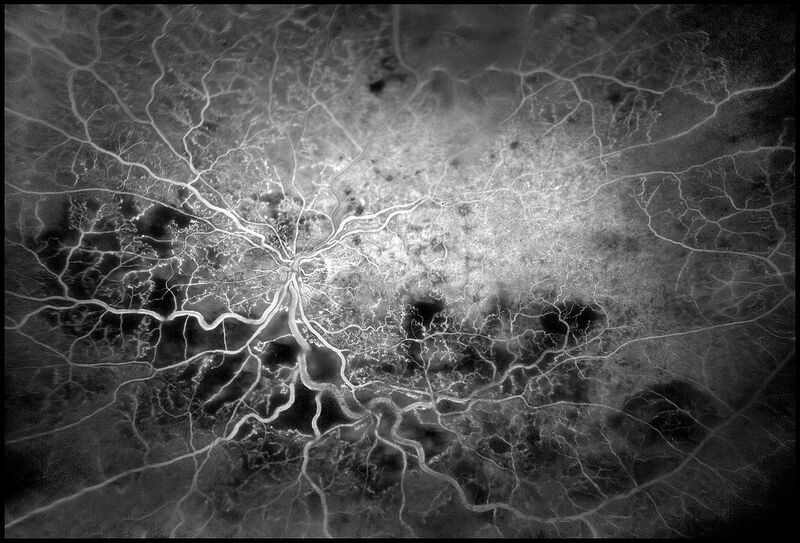 In this image the irregular black patches in the lower half of the image, indicate retinal ischaemia.